It all started on a Wednesday morning during our vacation at the beach. We decided to take a day trip to visit St. Augustine for some lunch and shopping. Of course, the first thing I see are a couple of horse drawn carriages waiting for passengers on the side of the road. It was so hot that day... about 95 degrees, and these horses looked hot, tired, and thin. My heart sank, and I couldn't get that image out of my head the whole day. During lunch, Michael mentioned the possibility of us having a 4th child. We talked about it... perhaps another adoption... but quickly decided that we had our hands full. I kinda wish he hadn't brought it up though, because every time he does this, I get baby fever and end up with a new kitten or a new horse. As I tried to fall asleep that night, I kept thinking about those cart horses... about Willow... about Black Beauty... about how every horse has their own story. And as I lay there, I stared at the abstract painting on the wall... and I realized it was a horse. I've been looking at that painting for years and never really saw it. But as clear as day, I could see it... a beautiful horse and rider. I slept peacefully after that. The next morning I woke up super early thinking of Willow.... just like I did every morning for weeks after her death. I know it was her. She was trying to tell me something. I texted Martha, "Call me when you can... I feel Willow. She's trying to tell me something. And I feel that God is leading me to something... and I think I know what it is. And it involves you, too." I felt so sure that I was being led to another rescue. I grabbed my coffee and sat down at my computer. The first thing I saw when I logged onto Facebook was a beautiful photo of one of Nancy Hayden's Gypsy Vanners. (Nancy was Willow's first owner, and we have become good friends). 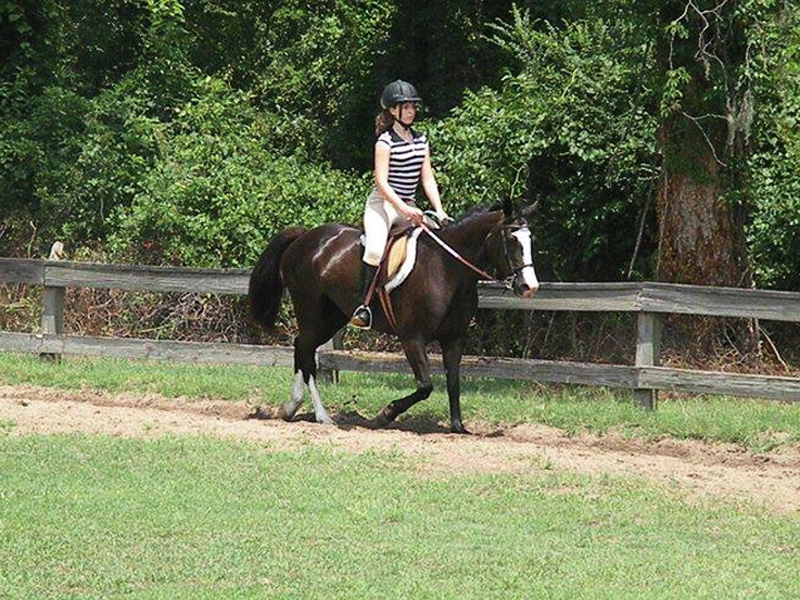 This mare was gorgeous... She was black with a white blaze. I'm missing my horses like crazy down here in FL. And in St. Augustine, there were some horses w/ carriages. they were all too skinny. and have him trailer all three to me to give them the life they deserved. Bless your loving heart...you can't save the world though. I know, try not to be too sad...she is with you always and you know she would not want to ever make you sad. Martha called me later that morning. We chatted about the possibility of opening a horse rescue together. I know Michael would be on board, but neither of us has the space or the time for this sort of project right now. Still, we talked about how wonderful it would be... and how one day, we might try to make it happen. That afternoon, Michael left for about two hours to run some errands. (he should have known better... two hours is a long time to leave me without me getting into some sort of trouble ;) My mom had taken the kids to the beach, so I was left alone to get some work done. But I couldn't stop thinking about those horses... and the baby fever was getting worse. I grabbed a glass of wine and sat down at my computer. But instead of working, I went to the Nashville Craigslist. I was missing my Himalayan kitty Clover (aka The Muffin Man) SO much that I typed "Himalayan kitten" in the search bar. Zero results. Then I wondered if there were any in Florida... and I found a litter. I called the lady, but she explained that the kittens wouldn't be ready until July. She asked me about puppies- to which I responded, "Not a dog girl.. I prefer cats and horses". Then she went on to tell me she had recently rescued a white Arabian mare! I asked her where she lived... she answered, "St. Augustine." I got myself another glass of wine, and I listened as she told me her story. I hadn't realized there were horses (besides cart horses) in that area. So without thinking (and since I was already on Craigslist AND my 2nd glass of wine) I typed, "Mare" in the search box. How neat! Thanks for sharing - can't wait for part 2!